My daughter Veronica shares her design for a wooden gumball machine. Her build is based on an old design that I had originally built for shop class when I was in high school. I no longer have the original plans so my daughter measured my old candy machine and made up new drawings that use off-the-shelf stock red oak lumber that required far less cutting and produces a much easier to build candy machine. She also uses common Mason jars for the top which you can purchase in multiple colors. In this video she explains everything upfront and then covers the build in detail. After the video I will have photos, material list and a PDF of Veronic’s hand drawn plans. Make your GE G-35 LED Christmas lights fully programmable and controlled from your iPhone. This hack is very much like the commercial LumenPlay product but allows full custom programmable control of colors, patterns, timing and locking. Below is a 4 min demo of my new programmed Christmas light patterns. You can do this hack yourself by following the below instructions. If you don’t want to hack this together yourself you can still buy a similar product called LumenPlay, you just will not have the full programmable control. One or more sets of GE G-35 Color Effects LED Christmas lights. Any bulb count and style will work once you set the bulb count in your sketch. This hack should work with any GE G-35 LED light set but your mileage may vary, no promises from me! If you see 3 wires (5v, ground, data) going to each and every bulb in series with such lights this hack should work. An iPhone or other device that can run the “RFduino Colorwheel” app. You have to use Arduino 1.5 IDE or newer. If you currently have the Arduino IDE you must start this setup with the IDE application closed. If needed, install the ftdi USB driver for your computer system. You must download the latest RFduino hardware plug-in and libraries from Github. Click the “Download ZIP” button on the right side of this Githup page. Download my library and install following arduino.cc standard library add-on instructions. 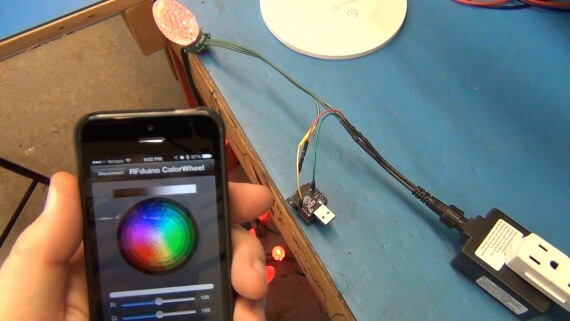 To control the RFduino from your iPhone or other device using bluetooth you need to install the “RFduino ColorWheel” app or similar app that can send RGB color codes to the RFduino. FYI: My library and sketch are based on this Instructables and on MEO’s library but with heavy modifications. Per MEO, his library is based on Mike Tsao’s “sowbug” library which used original code by Paul Martis. DO NOT USE the G35Arduino library or samples sketches from the Instructables posting, they were a good start but will not work for controlling a Christmas light display. Wire up the G-35 lights as noted in my video. In the video I solder a short jumper directly to the 5v USB connector on the PCB. Many will find the fine solder job too delicate. 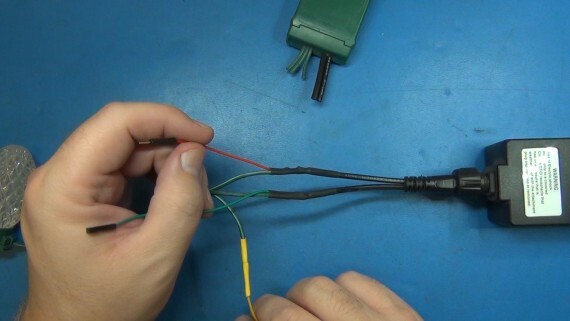 I recommend chopping the female end off a cheap USB extension cable and tying the 5v and ground wires from the chopped USB cable end to the GE G35 power brick’s 5v and ground wires. Then it is much easier to plug in and you only need to connect the one data wire. 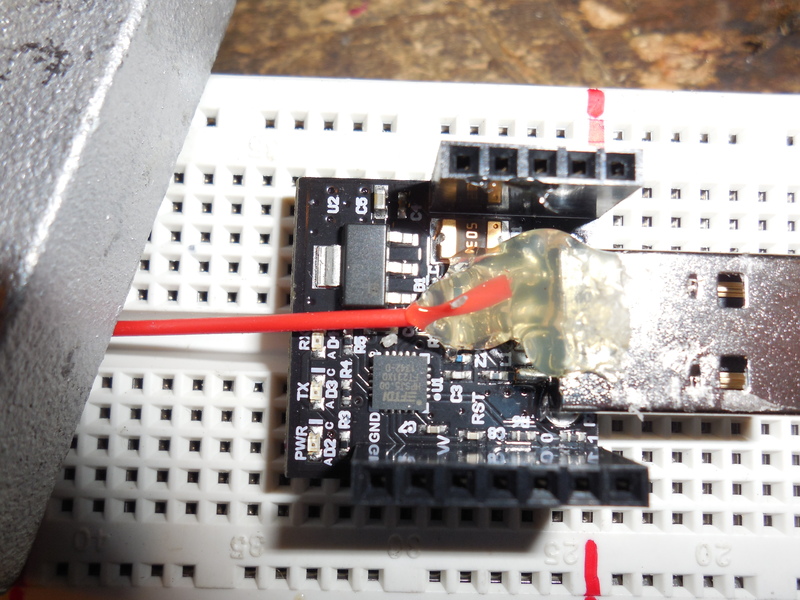 Using either of these wiring methods you don’t need batteries or a 2nd power brick to power the 3v RFduino because the USB Shield for RFduino has a 5v to 3v regulator and you will be getting 5v for the RFduino from the light’s 5v power supply. For my Christmas sample sketches you will use ground and GPIO(6) on the RFduino. Any ground point will work. Plug in your RFduino to a USB port on your computer then start up the Arduino IDE 1.5 or newer version. Pick the RFdunio board from the <<Tools/Boards>> menu option. Pick the correct com port the RFduion is connected on from the <<Tools/Port>> menu option. Open my Christmas sample sketch from the <<File/Sketchbook/ToddFun_GE_G35_XmasLights>> menu option. You may have to edit the sketches before uploading to have the correct light count: #define LIGHT_COUNT (50). Then click the Upload button to upload the sketch to your RFduino. When done programming, remove the RFduino from your computer and connect to the lights as seen in my video. From your iPhone start the RFdunio ColorWheel app. 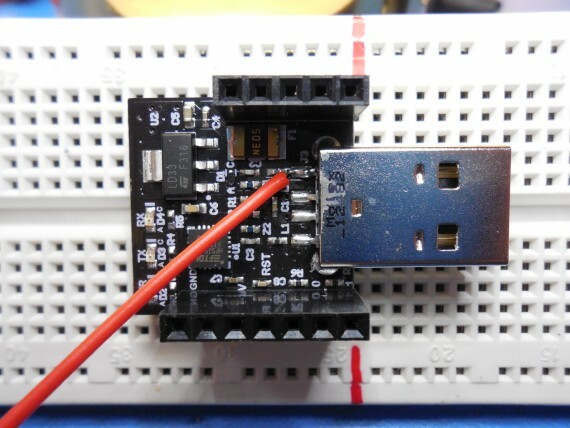 You DON’T need to pair your iPhone with the RFduino using your iPhone bluetooth settings. If the RFduino is close by, powered up, wired to some GE G-35 lights as noted in my video and running my sample sketch you should see one bluetooth signal named ToddFun. Simply tap the signal displayed to start communicating with the RFduino over the bluetooth connection and change your Christmas light colors and patterns. I have 25 Christmas patterns programmed which can be selected by setting the r,g,b color sliders to zero then tap the number box for just the “r” slider to bring up your keypad. Enter program numbers (1-25) as the “r” color to switch between the 25 programmed patters. Or just tap any spot on the color wheel to set a fixed color. Entering r,g,b = 0,0,0 starts a demo program cycling one time through all programmed patterns showing each pattern for 10 seconds. When finished with the demo cycle mode it will revert back to the saved cycle duration period and continue cycling. Users can toggle a lock mode on or off by entering r,g,b = 55,55,55. You can program your own lock code in the sketch so long as the first number is greater than your program count. Upon changing the lock mode all current features are saved including lock mode, cycle duration, cycle mode and current color or pattern. Entering r,g,b = 55,55,56 will save all current features including lock mode, cycle duration, cycle mode and current color or pattern. Entering r,g,b = 55,55,57 initiates program mode. When in program mode the next 3 numbers entered for r,g,b sets the standard cycle time in hours, minutes, seconds accumulative. So if you enter 55,55,57 followed by 0,2,30 you will have a 2 minute and 30 second cycle time. Upon changing the cycle duration the cycle mode is enabled and all current features are saved including lock mode, cycle duration, cycle mode and current color or pattern. Standard cycle mode can be started at any time by entering 255,255,255. If the user enters anything other than 0,0,0 or 255,255,255 and is not entering one of the interactive modes above then cycle mode is cancelled. This mode change is NOT auto saved so a reboot or watchdog reset will revert to the saved settings in micro-controller’s flash page. You can see my Christmas program pattern picks in “ToddFun_Programs.cpp” library file. (see Readme.md for full list of choices). There are other patterns in the ToddFun_GE_G35_XmasLights_Library files you could add-in, remove or alter to use for any season. Just change the program listing, ProgramCount and switch-case statement in the “Program.cpp” and “Program.h” files. You could also create and add your own new library pattern program files! If you also want to share your lights with others in your neighborhood feel free to post my public instruction document (PDF). 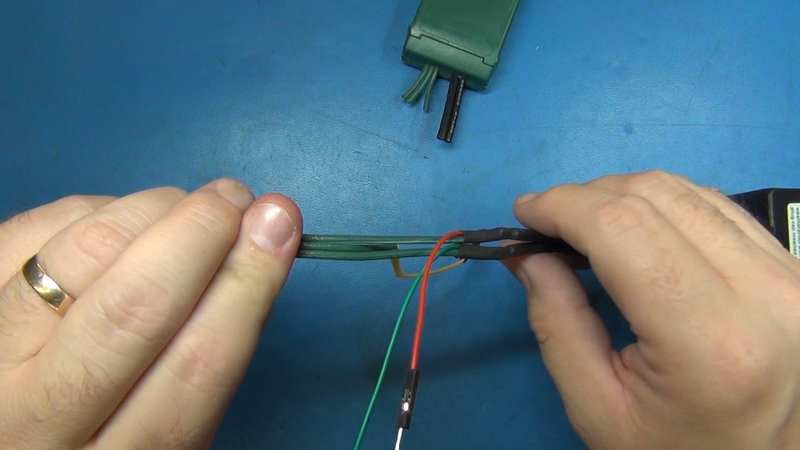 LINK to my old Review And Teardown of G35 LED Christmas Lights. 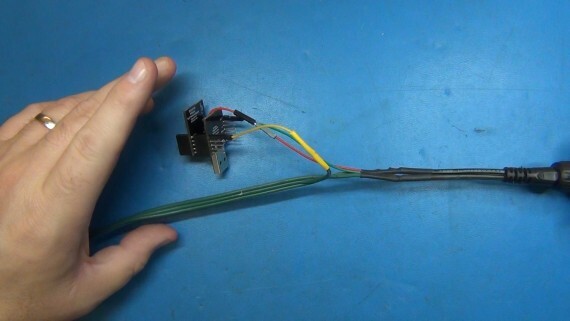 LINK to my old Simple Parallel Sync Hack for the G35 LED Christmas Lights. You are currently browsing the ToddFun.com blog archives for December, 2014.